I had a customer call recently asking for configuration assistance on a vehicle mounted Pepwave BR1. The BR1 had a pair of sims in its cellular modem to provide as much coverage as possible in their region however as cellular coverage was limited they were backing up the cellular with a roof mounted satellite broadband connection. 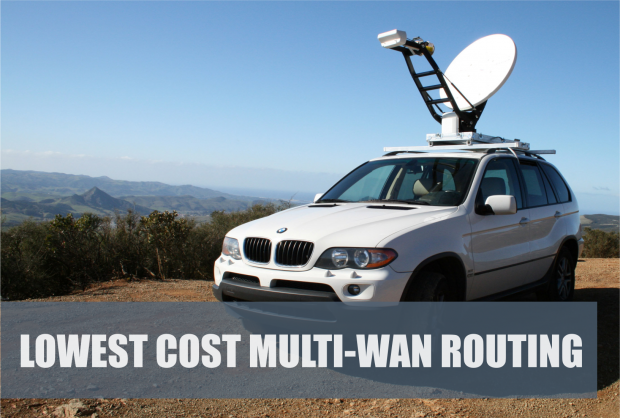 The customer had great data allowances on the cellular network connectivity, but due to the scale of the deployment wanted to drastically reduce the amount of bandwidth that would be used when connected via satellite for commercial reasons. In fact they wanted to limit which remote sites/servers could be contacted to a very short whitelist of one or two destinations so that only key applications and services would be used over the satellite data link. 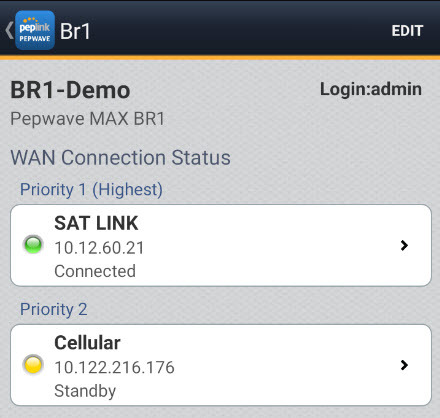 The BR1 is a great product for this kind of application with its inbuilt intelligence as to the choice of available connectivity (dependant on WAN link priority/health/availability), in combination with traffic flow control when certain WAN links are active. The highest priority health WAN link is the one currently in use. When the BR1 detects a WAN failure (lack of cellular coverage for example) it automatically brings the next highest priority WAN link online for active use (in this case the Satellite Broadband connection). Prioritise traffic for the whitelist destinations over the cellular WAN first then failover to the satellite WAN if needed. Only allow all other traffic to use the cellular WAN. Easy right? Lets see what that looks like in the webui when configured. For this example I’m assuming the bbc website as the allowed (whitelist) destination over satellite. NB: Note that the rule order here is important as rules are processed top down. A nice additional touch for this deployment is the ability to mount a smartphone or tablet in the vehicle to monitor the BR1′s connectivity status. Using the Peplink Router Utility the vehicle operator can then see when they have cellular connectivity.